The new Mining Law is expected to make the legal framework for attraction of new foreign investment. Ministry of mining predicts that the new law will trigger opening of five new mining exploration projects that will bring investment of five billion dollars. The discovery of some of the largest gold and copper deposits in our country in the past have led Serbia to better consider the utilization of its mineral wealth and attracting heavy investment of five billion dollars. 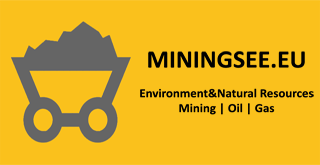 The Ministry of Energy and Mining, amendments to the Mining Law are in the preparation, which should make a radical turn in this sector of Serbia industry. According to experts, Serbia will, with the new law, “opens” for investment because it will greatly facilitate foreign companies to obtain use permits and open up to five new mines in Serbian territory. Serbia would earn from mining rent, and investors will be able to sell our mineral wealth also beyond the borders of Serbia. Serbia uses three percent of the potential mineral wealth. It is required a minimum discretionary power of state authorities and a minimum state participation in investors’ business. The state should ensure the protection of their interests in a way that will not frustrate the needs of investors, because otherwise serious companies will circumvent Serbia, while the brokerage will flourish. The industry will suffer as it is now, the Government will continue to subsidize mining instead of earning from it. Ministry of Energy accepted to remove from the law the introduction of the obligation to submit semiannual reports as unnecessary increase in administrative procedures, it was increased the allowed amount of mineral raw materials for technological tests. Also it was deleted the proposal that the collected minerals cannot be sold outside Serbia. In 2013 there were 135 active licenses for exploration in Serbia, and investors invested 300 million dollars for ten years. If three percent of permits for exploration would be converted into a use permits for mining, there could have been opened five new mines, which would potentially brought five billion dollars of capital investment. Although Serbia could take incomparably more money if it conducted tests by itself, and then mined mineral resources, Serbia has no money for the job. Of course it would be better to do without the influence of partners on the side but problem is that these are investments worth billions of dollars, and Serbia mines are already in financial trouble. Serbia needs to open up for the investment, but with strict control and supervision of the state in environment protection standards.